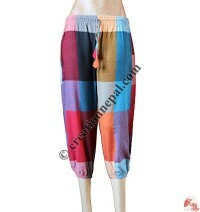 Nepalese cotton wrapper-pants, three quarter trousers, razor cut trousers, tie dye trousers, Afghani design comfort trousers are some the designs that we offer. 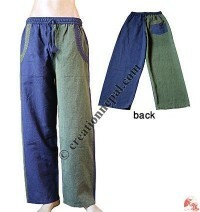 Most of our pants, trousers and wrappers are made of thin 100% cotton. 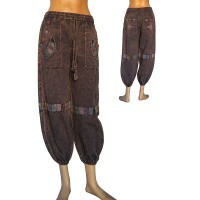 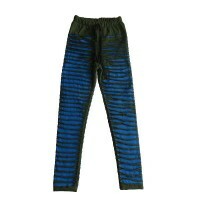 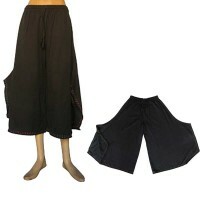 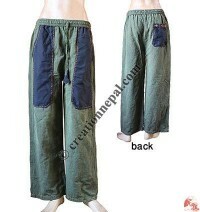 We manufacture and exports Nepalese handmade trousers or pants at wholesale price. 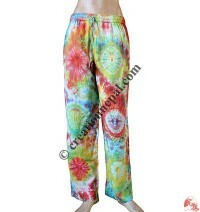 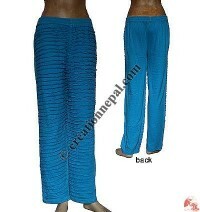 Creation Nepal's hippie style trousers are unique and rich in quality. 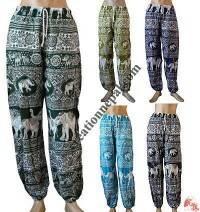 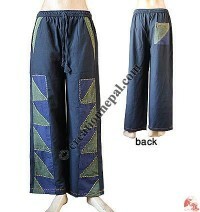 We offer wide range of Nepalese handmade clothing like woman trousers, summer trousers, Nepalese traditional trousers like hand embroidered trousers, warm fleece trousers, cotton summer trousers, Nepalese yoga trousers, 2 layer cotton trousers, Thai fisherman Nepalese trousers, Nepal cotton open trouser, elastic waist printed trouser etc. 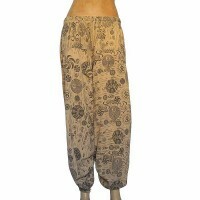 Besides the tie dye trouser or stone wash trousers, our plain trousers are very popular for yoga and casual wear. 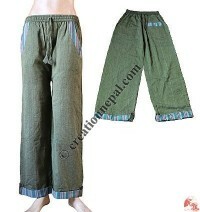 Creation Nepal's cotton trousers are popular for men and women, clothing in Nepal. 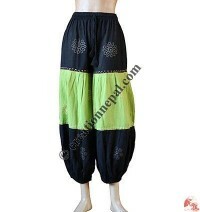 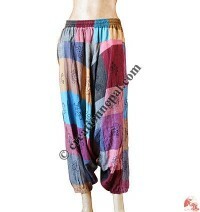 Aladdin trousers, fisherman trousers, patch work trouser, printed Trouser, sari silk patch work trouser.